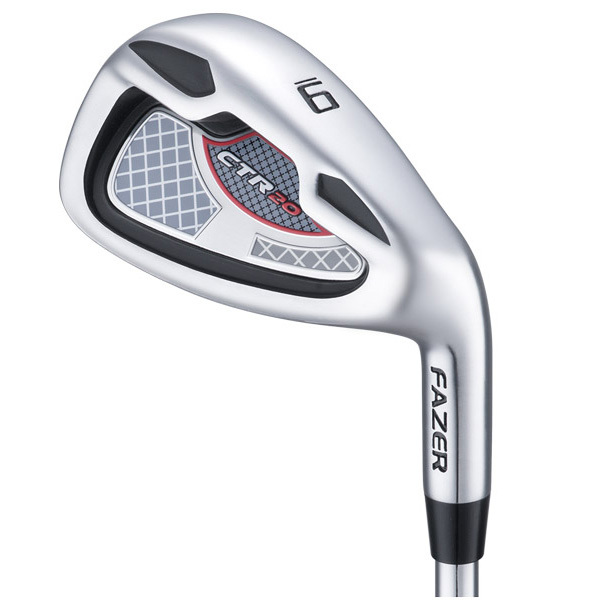 Introducing the Fazer CTR20 Package Set, the perfect new full set of clubs to get you into this fantastic game of golf. This package contains everything you need from wood and irons, to putter and golf bag...all you need to do is add your accessories. 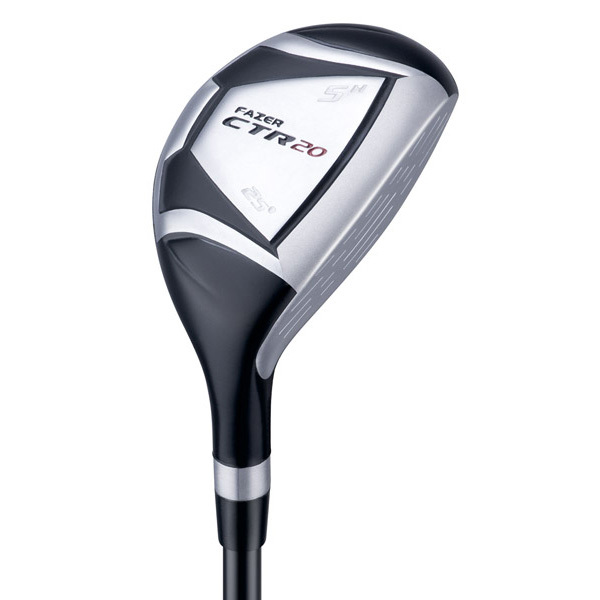 The fairway and hybrid clubs also feature the hyper steel technology head design, which includes head covers to keep your investments damage free. 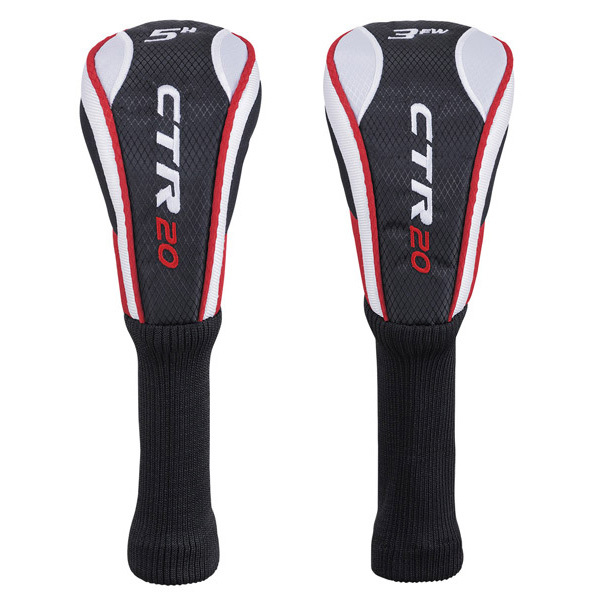 Plus are also fitted with an optimum kick point graphite shaft and soft feeling rubber grip. 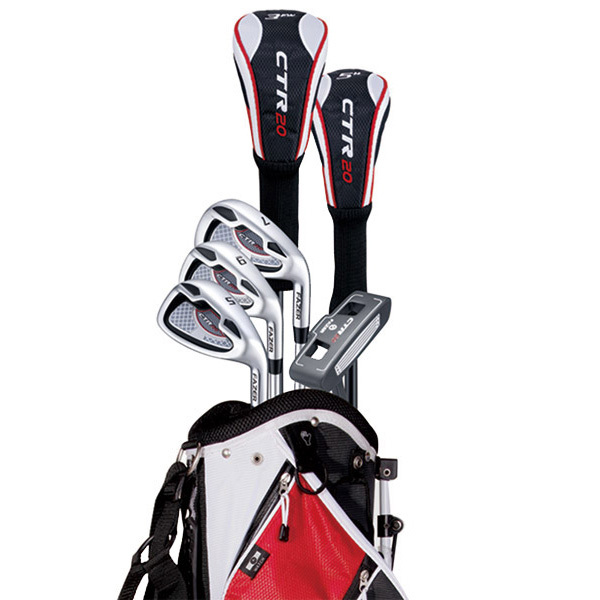 In this package you receive 3 irons in total, 7 iron, 9 iron and sand wedge. 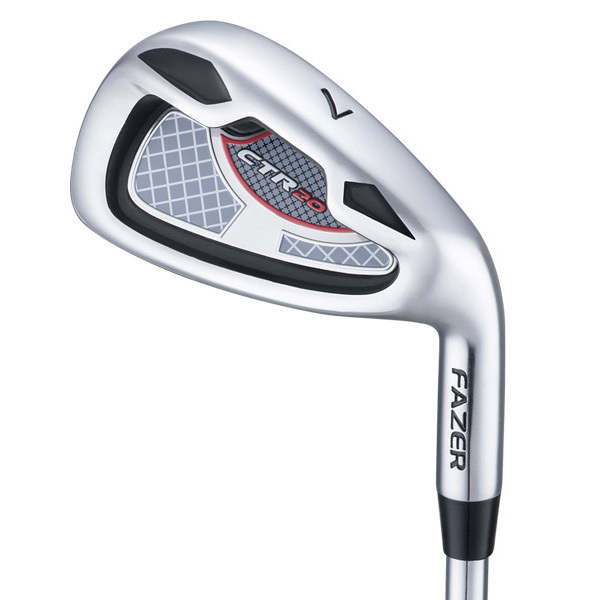 The are created from hyper steel material in an oversize design for more forgiveness. The heel and toe weighted sole and wide top line promoted a perfect balance and stability on every shot. 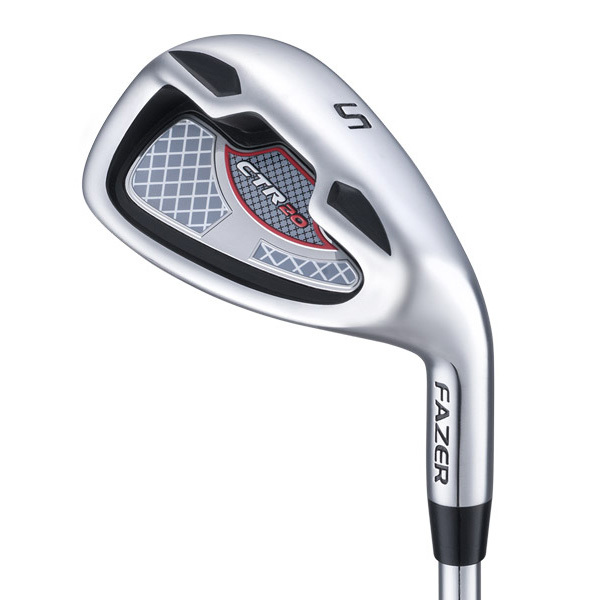 Fitted to these irons are optimum flex lightweight tempered steel shafts and soft feeling rubber grips. 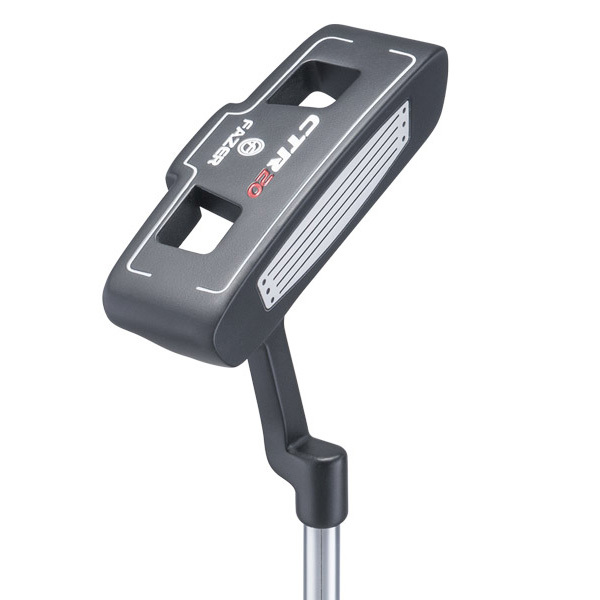 The package also includes a blade style putter, with heel and toe weighted head, To make putting more balanced, with sight line to promote accurate alignment. 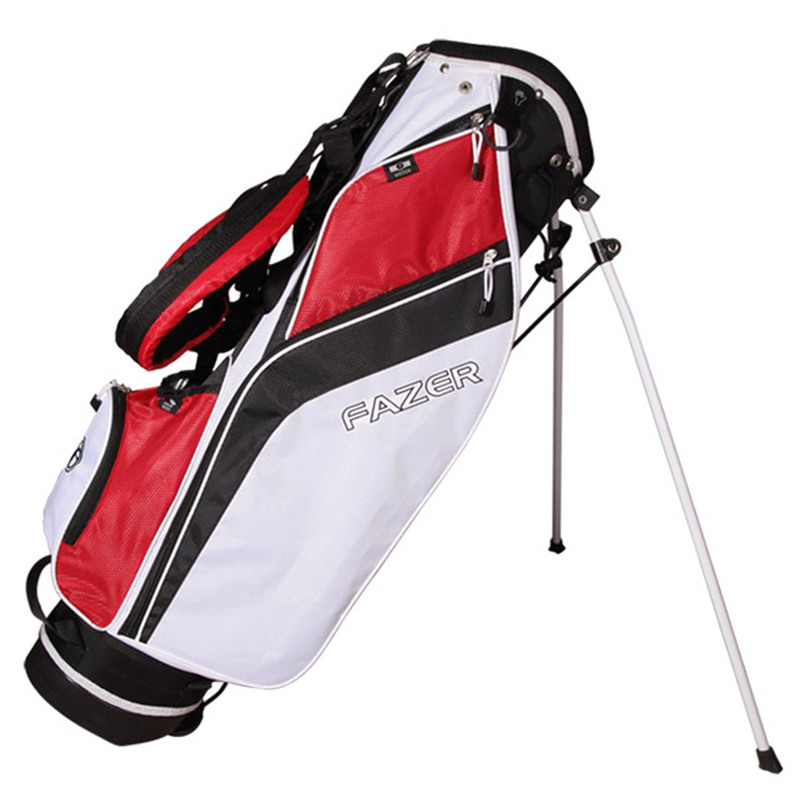 To carry all these clubs around a 7" Fazer stand bag that has a 6-way padded cuff, with full length dividers for graphite shaft protection. 4 zipped compartments, which includes velour lined valuables pocket, are plenty to store your apparel and any accessories you require. Plus a front located water bottle sleeve is extremely handy as are the usual refinements which include a rain hood, tee holder, umbrella holder, towel ring and velcro glove attachment.